MediClear Plus from Thorne Research is designed to support liver detoxification while simultaneously providing a hearty dose of quality rice and pea protein. Contains curcumin & grapeseed phytosomes for advanced antioxidant & anti-inflammatory support. It’s undeniable that protein powders are a useful way to get an energizing nutritional boost for your workout routine or general dietary requirements. However, low quality protein powders have potential to cause difficulties with the healthy function of the liver. 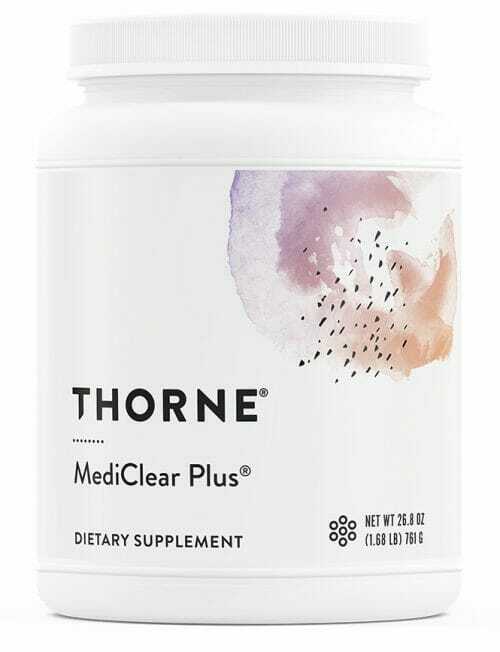 MediClear Plus from Thorne is the first protein powder which is actually designed to support liver detoxification while simultaneously providing a hearty dose of quality rice and pea protein. 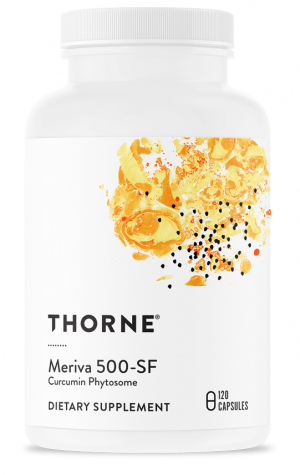 Also contains curcumin and grapeseed phytosomes for advanced antioxidant and anti-inflammatory support. Features 25 g of high quality and all-natural rice protein and pea protein isolate. Designed to provide a useful nutritional boost for a variety of athletic and exercise activities. Also includes notorious liver health support nutrients like vitamin B6, folate, B12, zinc, selenium, milk thistle, and green tea. Healthy function of the liver is associated with proper detoxification as well as protein formation, glycogen synthesis, and more! Unlike the standard Mediclear, Mediclear Plus contains curcumin and grapeseed phytosomes. 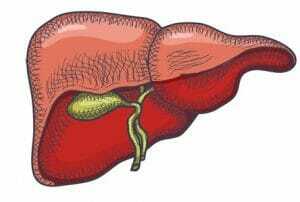 The liver is one of the largest organs in the human body, as well as being one of the most important. It is primarily known for its most central role in detoxifying the human body. However, it is also integral to the formation of protein, triglyceride and cholesterol, bile, and glycogen synthesis. As the body’s central detoxifying agent, the liver helps to keep the entire body cleansed by breaking down substances like ammonia, alcohol, insulin and other hormones, as well as byproducts of drugs and medications. If the liver becomes damaged, or overloaded with toxins, then the resulting build-up of oxidants and free radicals may cause damage to the cells of the liver. This has the potential to trigger a chain reaction of oxidative stress proliferation and other forms of damage and imbalance to cells, organs, and tissues across multiple bodily systems. Protein powders made from quality natural ingredients like rice protein and pea protein isolate serve as a useful means of providing the body with a nutrient dense and energizing beverage. However, there are certain varieties of protein powders, particularly those which are made with low quality ingredients, that have the potential to produce excessive strain and imbalance to the detoxification functions of the liver. In an effort to create the most liver-friendly protein powder on the market, Thorne Research has made Mediclear Plus with only the highest quality of rice and pea proteins alongside a number of essential vitamins and minerals needed for the liver to function healthily. 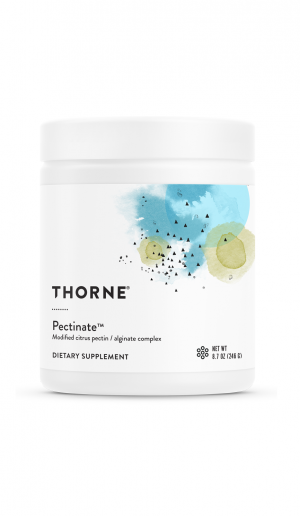 These nutrients include B complex vitamins like B6, folate, and B12, minerals like zinc and selenium, and antioxidant-rich botanicals like milk thistle and green tea. Unlike the standard Mediclear, Mediclear Plus also includes curcumin and grapeseed phytosomes. These powerful antioxidant and anti-inflammatory ingredients are a welcomed addition to any daily multivitamin blend, but they may be particularly effective at protecting and supporting the liver. 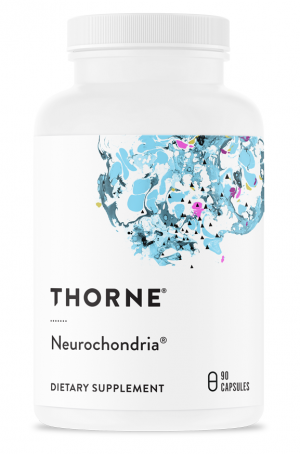 What’s more, Thorne Research only uses the highest quality of natural extracts, emulsified in phospholipids to ensure maximum bioavailability. Other Ingredients: Silicon Dioxide. Contains ingredients derived from soy (phytosomes). †††††This product uses Indena S.p.A.’s green tea phytosome (Greenselect®), grape seed phytosome (Leucoselect®), and curcumin phytosome (Meriva®). Greenselect, Leucoselect, and Meriva are registered trademarks of Indena S.p.A.
††††††This product uses Albion’s Bororganic™ Boron Glycinate Complex. Bororganic is a trademark of Albion International, Inc.
For adults and children 12 or more years of age Mix one serving (two scoops) with at least 8 ounces of cold water, juice, rice milk, or nut milk, or as recommended by your health professional.